Heavenly Pals are the lovable, huggable reminder of your best friend. 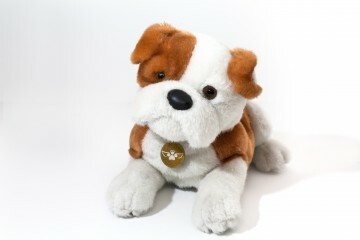 Heavenly Pals are high-quality, breed-specific, plush dogs that serve as urns for the cremated remains of beloved pets that have passed away. They are designed to resemble a variety of popular pet breeds, and intended to be a whimsical alternative to traditional pet urns. Our mission is to help bring comfort following the loss of a beloved pet. Plush toys often represent the most precious childhood memories. So too can they later in life invoke feelings of love, caring, and gratitude, as they remind us of cherished people, places, and even our pets. By providing a tangible connection to those memories, Heavenly Pals ensure that your pet receives a unique and lasting memorial. A Heavenly Pal is meant to serve as a warm reminder of the bond you shared, and of the joy and happiness your special pet brought into your life.